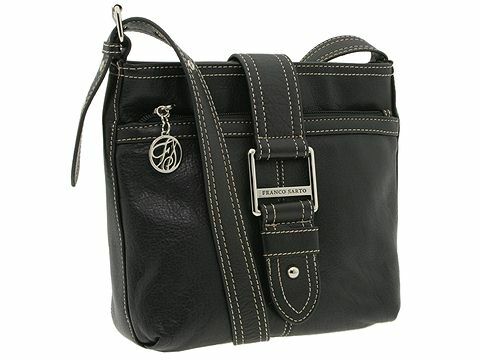 Make an incredibly sophisticated fashion statement with this 'Sydney Cross Body' bag from Franco Sarto. Cross body bag made of leather. Holds your wallet, sunglasses and personal technology. Dimensions: 9 wide x 2 1/2 deep x 8 1/2 high. 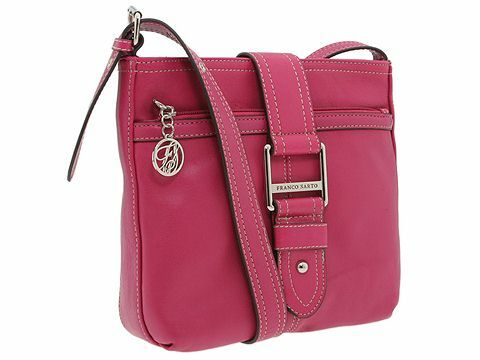 ; Single adjustable cross body strap. 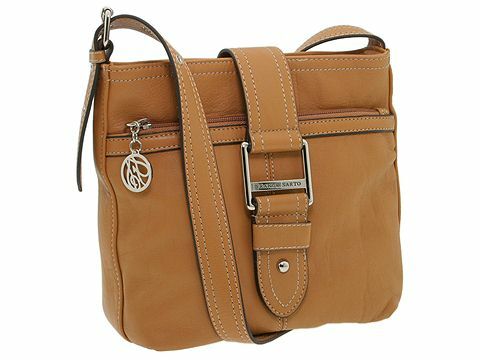 Cross body drop: 23 in length. One front exterior zip pocket and one rear exterior zip pocket. Platform bottom. Top zip closure. Interior lining with a back wall zip pocket and multifunctional slip pockets. Also available in caramel and in black.